My annual holiday party was this past weekend on Saturday night. As always, we had a fun time. This year, we turned the party into a wine tasting event. 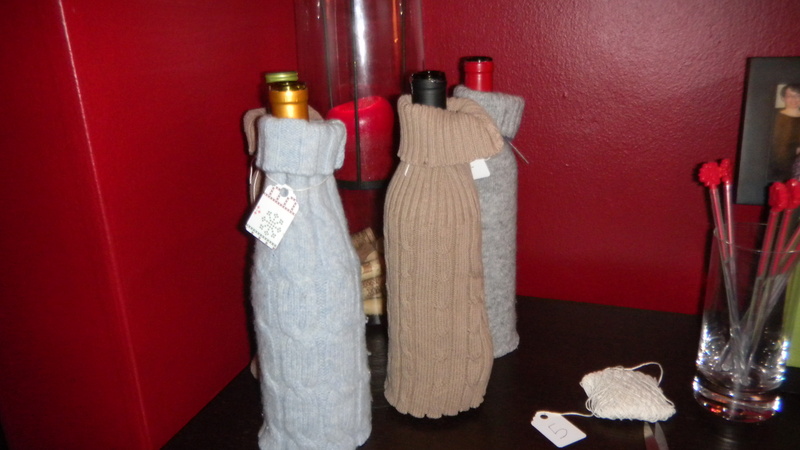 When guests arrived, I put their bottle of wine into sweater covers, hiding the type of wine and brand from view. I made little hanging tags with the numbers 1-5, and randomly tied each label to a bottle. 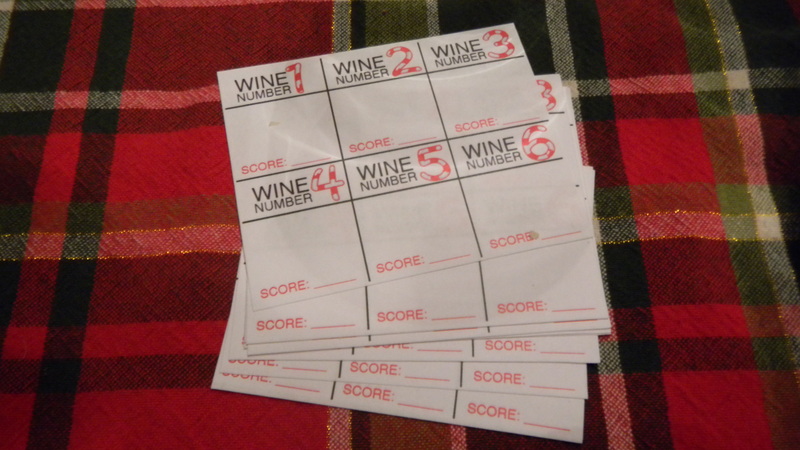 Dan made these cute little score cards for us to take notes and put final ratings of 1-5 of our favorites wine selections. I had prizes for first and second place. Prizes always make parties more fun. 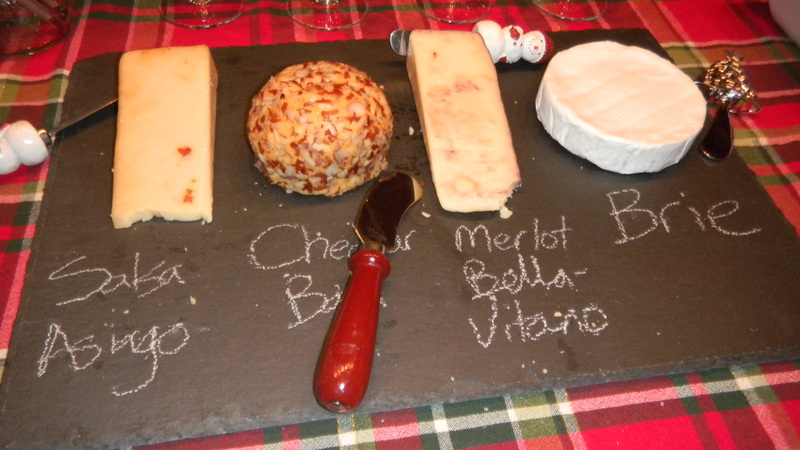 They were small – a wine pourer and a foil cutter – but I stayed with the wine theme. To fill up our stomachs with more than just wine, I made some easy appetizers for people to snack on before and during the tasting. We had goat cheese stuffed and bacon wrapped dates, sweet potato casserole pouches, bruschetta (made by my dad), and an assortment of cheeses with crackers. After the tasting, we all took part in the Secret Santa with registries that I posted about earlier. My gift? A moleskine planner and a neat crafty item that wraps bread in your bread basket! I loved it. 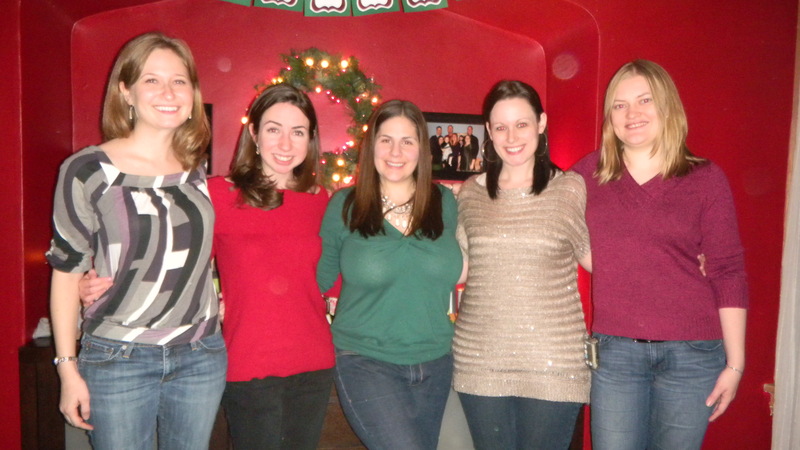 Another great holiday party for the books with these ladies. 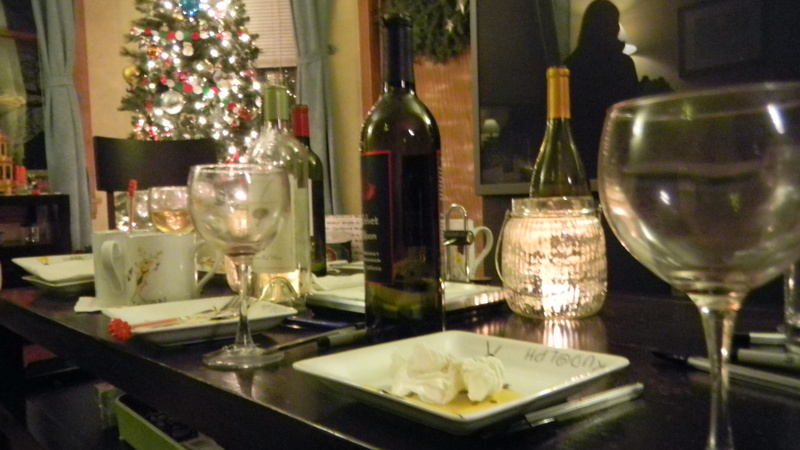 We ate, we drank, and we were merry.